Ariel Jolie spent most of her life between California and Florida – regions that are close to the ocean and this is what has greatly influenced her art, especially the tides of the sea. Being a self-taught artist, Ariel is not bound by any rules and that’s how she likes it. This brings out her creativity since she has all the freedom to experiment and choose the best medium and style for a particular project. 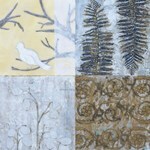 After her graduation she decided to change to encaustic painting. 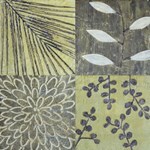 This is after she discovered the brilliant quality of working with beeswax which became her medium of choice. She says this medium lends itself so effortlessly to water analogies and qualities. Beeswax is liquid in form when used in painting; and when heated, it moves in waves and creates the illusion of movement. This makes the artwork to be quite attractive. Her art can be used to decorate any space and that explains why they are very popular with many collectors. Ariel was raised in a family that’s very creative. It is a family in which music and art were ever-present. Her brother trained in art school, while Ariel began with painting watercolors of her subjects, mainly ocean life, while she was in medical school. As a daughter of a radiologist and a physician, the artist combines her interest in photography, art, and medicine in her work and she incorporates X-ray photography of objects that are found in nature. She currently lives and works in California with her husband, Bryce.